In our first two parts we have expounded on the virtues of having a bishop pair. So much that by now, you might start to dread facing against this monster... but no worries! Today, we will be talking about the weaker side of the two bishops, and how you can use these weaknesses to play against them. 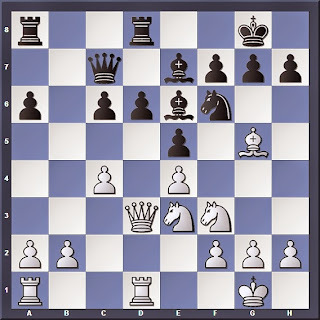 When the advantage of the two bishops is neutralized by a weakness in the position (e.g. holes in pawn structure, exposed king). When the opponent has an advantage with greater significance than the two bishops (e.g. material superiority, rook on seventh rank, a pawn majority on one side of the board). When the position is so locked up that the two bishops are rendered immobile. The first two points are self-explanatory: If you have the two bishops but your opponent is a Queen up, or your king is about to be mated in 3, then your advantage is as good as useless. Here Black has the bishop pair, but White also has a subtle advantage: He has better rook activity. He threatens to occupy the 7th rank via Rc7 or Rd7, and also plans on playing Be3, tying Black's rooks down to defending the backward b6 pawn. These elements serve to neutralize Black's two bishop advantage, despite the position being open. The entire game can be seen in Example 2 of our earlier article. Here Black's minor pieces are superior because White's bishop pair are trapped by their own pawns. 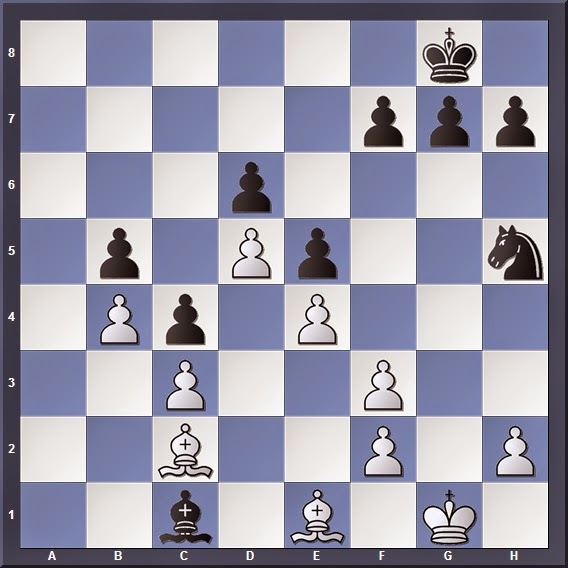 All Black needs to do is to place his knight on f4, and the bishops can do nothing to stop Black's king from walking into White's position. Get rid of the stronger bishop by trading pieces. In this game Black has the bishop pair. His dark-squared bishop is weaker since it is trapped by friendly pawns, while the light-squared counterpart is not. 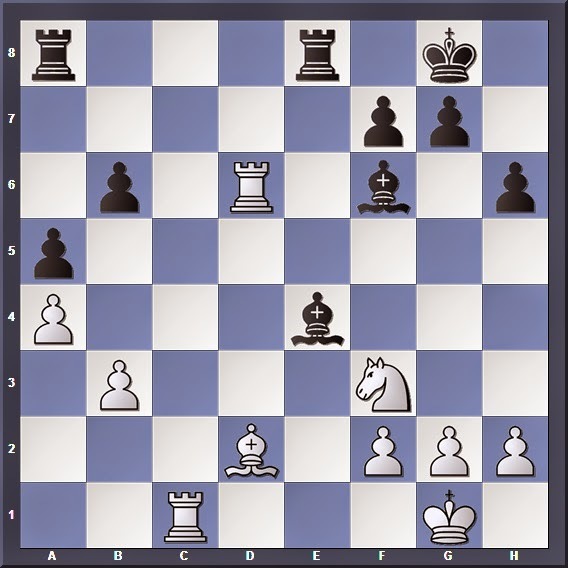 White's plan here will be to put his pawns on light-squares to restrict Black's stronger bishop and close up the position. Through this 3 part series we have explored the powers and weaknesses of the two bishops. In an open game, they can be a powerful tool in suppressing enemy movement and supporting the advance of friendly forces. They are even more powerful if steps are taken to restrict the mobility of the enemy pieces. But at the same time, we have also seen how they can succumb to enemy knights in closed positions. And thus, I wrap up this series of articles on the bishop pair. Now you know better how to handle them in a real game! 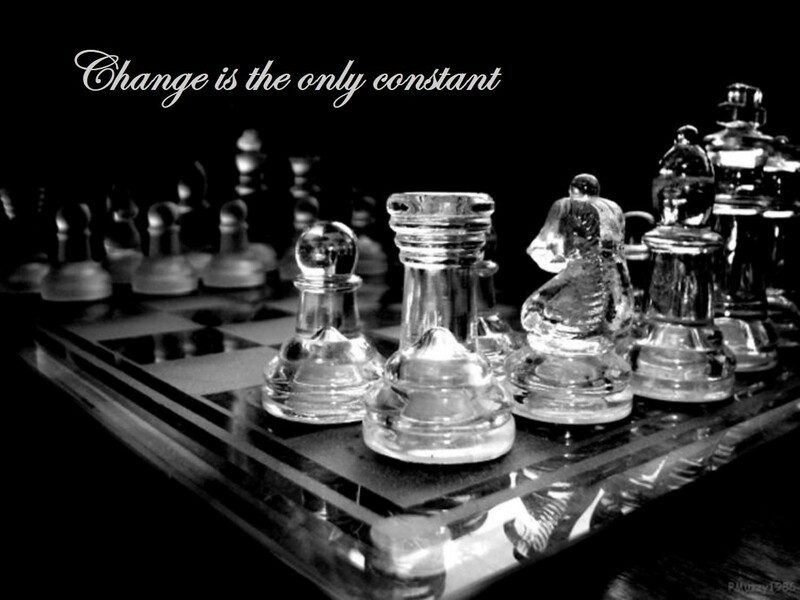 "Remember that chess is more than just a competitive game. Its history is full of pain and triumph, and the writings and games of the great masters can both inspire the students to new heights, and leave one in awe at the depth of artistic beauty they've created"